My name is Nicole Champagne. I got involved into the alpaca world in 2005 where I wanted a farm and was searching for the perfect breeding species. I looked at wild boar, ostriches and other kinds of exotic animals. One day I surfed on the web looking for information on Llamas. I found a site on Llamas and alpacas and I fell in love with alpacas. I visited a farm in 2006 and we bought 2 females. A black one and a white one from different bloodlines. I did not want to breed animals for food and I did not want a dairy farm. Alpaca breeding was the perfect project for me since the animals are shorn once a year and husbandry seemed pretty easy. We looked for a farm in the province of Quebec and did not find one to our liking. I had an opportunity to move to the province of British Columbia at the end of 2006 so we moved West. We left the two alpacas in Quebec for breeding and got them shipped to Alberta 2 years later (now 2 bred females and one male cria). We bought another female on Vancouver Island – Artika. After many years, we had a nice herd of 8 animals including 6 females. Since we could never buy a farm here on Vancouver Island, we had to bord our herd and this was very expensive. While we did not work with our animals often, I got very interested in fiber processing and especially shearing – the first step in creating alpaca products. 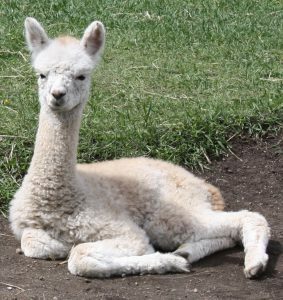 Our herd is back in Quebec now with a very active breeder who participates in contests and produces all kinds of artifacts made with alpaca fleece. Now I shear other people’s alpacas on Vancouver Island and other smaller islands. I meet really nice people and give the hobby farmers tips and tricks on breeding and fleece grading/sorting. If you have questions on my blog or the web pages presented here, email me (nicogolf@gmail.com) and if I do not know the answer, I will get an answer from my alpaca breeder network.